Asia Cup 2018 will be played at two venues in United Arab Emirates (UAE) – Dubai and Abu Dhabi. ‘Hitman’ Rohit Sharma will lead the Indian side in the upcoming Asia Cup 2018 in the absence of regular captain Virat Kohli who has been rested from the forthcoming tournament. Ahead of Asia Cup, Rohit Sharma took to photo-sharing application Instagram to share a video in which he can be seen hitting the nets. “Kit up, pick your bat and focus on the next mission. #AsiaCup,” Sharma captioned the video. For a change, Rohit Sharma, who is known for his explosive batting style, was seen playing some front-foot defence at the nets in the video. After seeing the video, Indian spinner Yuzvendra Chahal wasted no time in correcting Rohit Sharma. 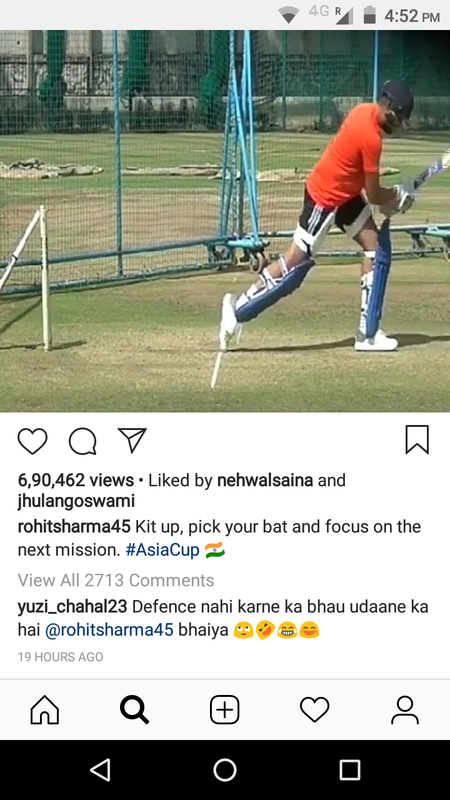 “Defence nahi karne ka bhau udane ka hai @rohitsharma45 bhaiya,” Chahal commented on Rohit Sharma’s post. It is noteworthy that both Sharma and Chahal were ignored from the Indian squad for the recently concluded five-match Test series against England. 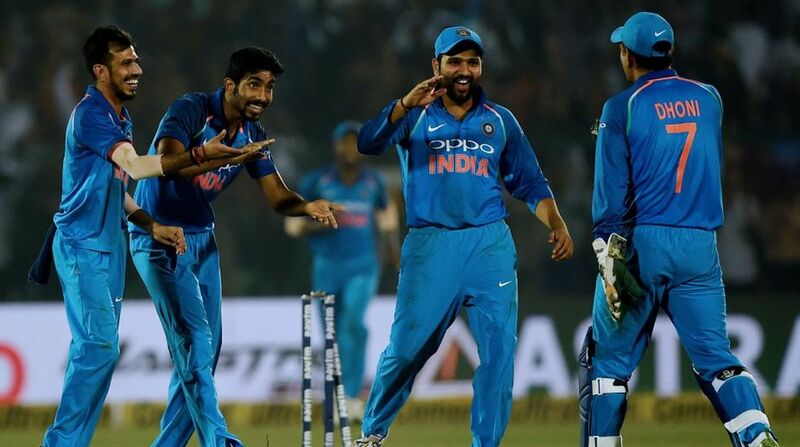 The Indian cricket team under Sharma will start their Asia Cup campaign against minnows Hong Kong on 18 September and will take on arch-rival Pakistan the very next day. India is the most successful team in the Asia Cup. The men-in-Blue have won the tournament six times while Sri Lanka has won the prestigious trophy on five occasions.